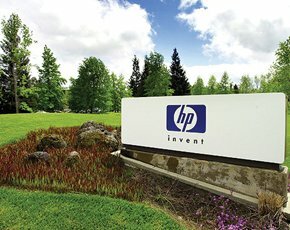 HP is investing more than $1bn over the next two years in cloud-related products and support services, including an investment in open-source cloud – OpenStack technology. The company is also launching a range of cloud services called HP Helion to help users build hybrid IT. HP Helion, when launched later this year, will include existing HP cloud offerings such as CloudSystem, as well as new OpenStack technology–based products, and support services under a unified portfolio. It will be made available via HP’s partner network as well as in its datacentres. HP operates more than 80 datacentres in 27 countries. The company plans to provide OpenStack-based public cloud services in 20 datacentres worldwide over the next 18 months. Organisations require solutions that are open, secure and agile, according to HP. This is why it is extending its investment in OpenStack technology and hybrid IT delivery – spanning traditional IT, public, private and managed clouds. “Customer challenges today extend beyond cloud. They include how to manage, control and scale applications in a hybrid environment that spans multiple technology approaches,” said Martin Fink, executive vice-president and chief technology officer at HP. HP Helion provides the services customers will need to select the right deployment model for their needs and obtain good return for their investment, Fink added. Helion portfolio includes four cloud services. The first is HP Helion OpenStack Community edition, which is tested and supported by HP. Its free edition is available immediately for testers and developers but the commercial enterprise edition will launch later this year. The second offering is a PaaS product based on Cloud Foundry to provide IT departments and developers with an open platform to build, deploy and manage applications. It includes HP’s OpenStack Indemnification Program – aimed at protecting OpenStack code users from third-party patent, copyright and trade-secret infringement claims. Finally, it includes the OpenStack-based professional services to assist customers with cloud planning, implementation and operational needs. Helion will include HP’s existing private cloud services, such as HP CloudSystem, which was ranked as “the leader in the Private Cloud Solutions” space by analyst firm Forrester. Other existing cloud services include HP Cloud Services Automation (CSA) – the software for managing hybrid IT environments, HP’s managed virtual private cloud offering and a range of cloud professional services.